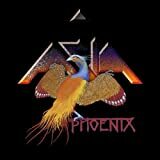 Asia’s eponymously titled debut album in 1982 was both ecstatically received and the biggest selling album of the year. It spawned a trio of US top 10 singles in "Heat of the Moment", "Only Time Will Tell" and "Sole Survivor." Over the greater part of the 80s, Asia racked up 15 million in global record sales. You Read that right! The most bitchin 80's band, Asia has a new album on the way! The band known for their hit "Heat of the Moment" which has been heard in 40 Year Old Virgin and The Matador and dorm rooms across the country is following in the footsteps of every other 80's band in the past 3 years! (Duran Duran anyone? )...In short, this is EPIC!